Been welding since about May now, pretty fun stuff, I know my way around a stick machine and even have my own home machine. Still got a lot to learn regardless but my classes are great. I even pimped out my helmet. Got advanced stick classes in a couple weeks and MIG as well, Tig most likely next year. People who come into restaurants in big groups literally minutes before closing are some of the most irritating type of people, along with big rushes of people all ordering the same things and then complaining about a long wait when they caused it by not noticing the massive crowd of people already waiting for their stuff. So I finally got around to updating it to 1.12, should all be working but in a worst case scenario I've got a backup saved to my desktop. Any issues people have please PM me. 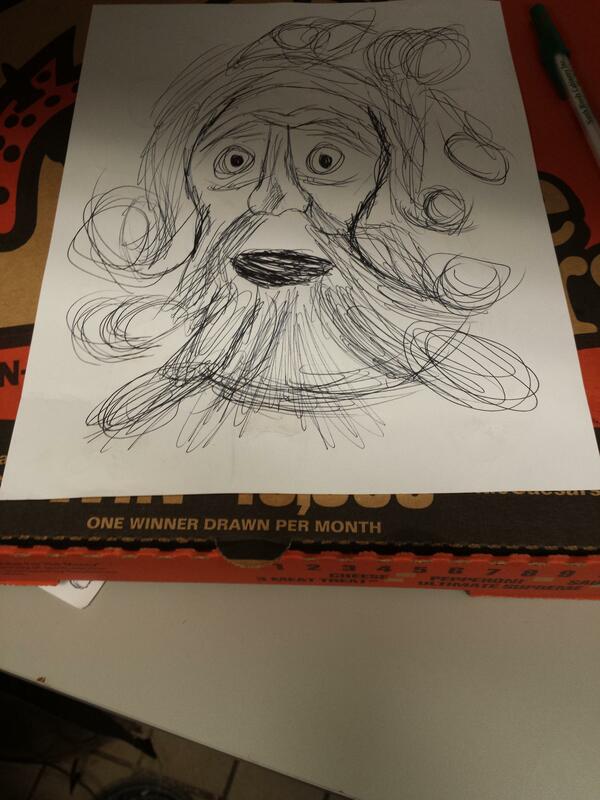 Was bored at work so I drew the Mask of the Father. Was pretty much from memory and got it drawn pretty fast. So in the year 2006 when we had been living in our new house for a few months now, one neighborhood kid I knew had a lemonade stand one day so that he could buy some new toy he wanted. Well at the time the new Inika sets had just been launched and my love for Bionicle still roared strong and I wanted to buy Jaller.